The New York Times used one of Facebook’s tactics to poke at the social network by sharing a nostalgic anniversary video spotlighting its stumbles. The video lasting slightly less than two minutes congratulates Mark Zuckerberg for turning Facebook into an online behemoth and becoming wealthy in the process, but spends most of its time playfully flipping through virtual cards recounting its troubles with privacy, hacking, hate speech, violence and more. “Happy Birthday, Facebook! 15 years today — and what a rollercoaster it has been,” read the message released Monday on the newspaper’s opinion page and on Twitter, in the style of Facebook compilation videos. The video logged some 375,000 views and was shared by others on Twitter more than 3,000 times within hours of being tweeted. The compilation included a series of barbs at Zuckerberg, with screenshots reading, “You seem to like giving your users’ data away,” and “Well, at least you haven’t done too badly,” noting his net worth of $55 billion. Zuckerberg on Monday marked the embattled social network’s 15th anniversary with a posted message saying that he sees Facebook as a largely “positive” force for society, even as the leading social network faces a wave of criticism over issues of manipulation, misinformation, abuse and other social ills. 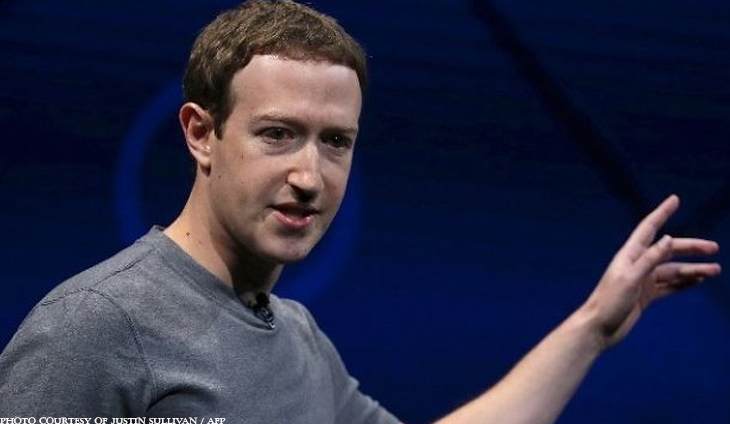 His comments came 15 years after he and classmates at Harvard University founded what was known as “the facebook” and began a mission described by Zuckerberg as connecting the world.